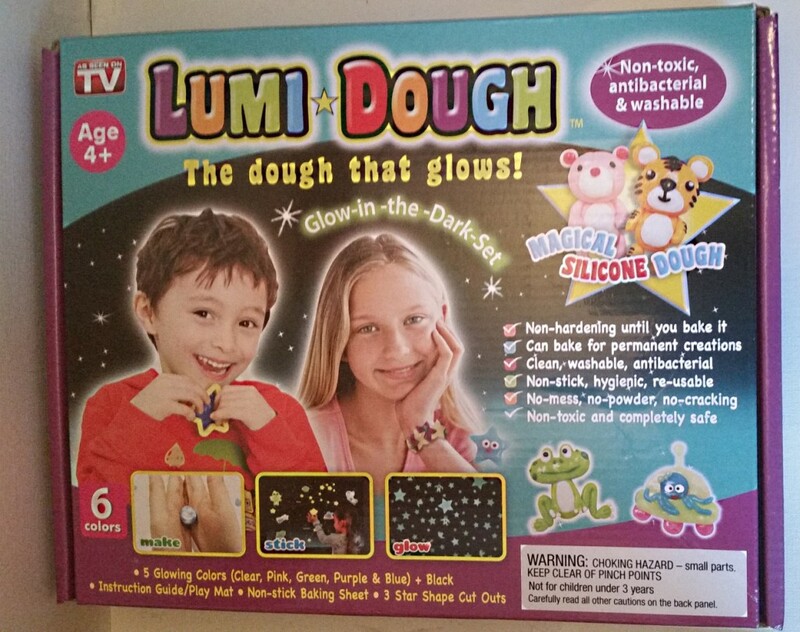 Lumi Dough’s advertising says it “stretches like rubber and molds like dough.” It also “glows brightly in the dark and has a glossy shine.” Is Lumi Dough worth buying? 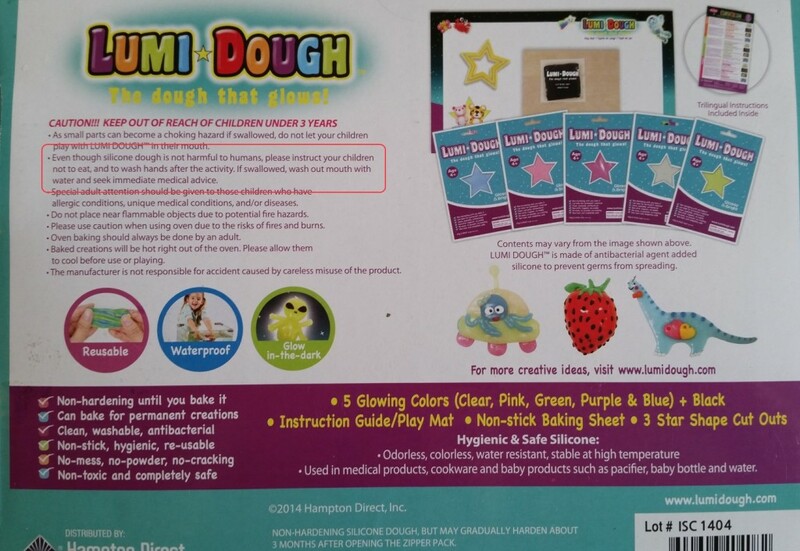 The Lumi Dough kit comes with clear, green, pink, purple, blue and black glow dough, plus a play sheet, a baking sheet and three star-shaped cutters of various sizes. 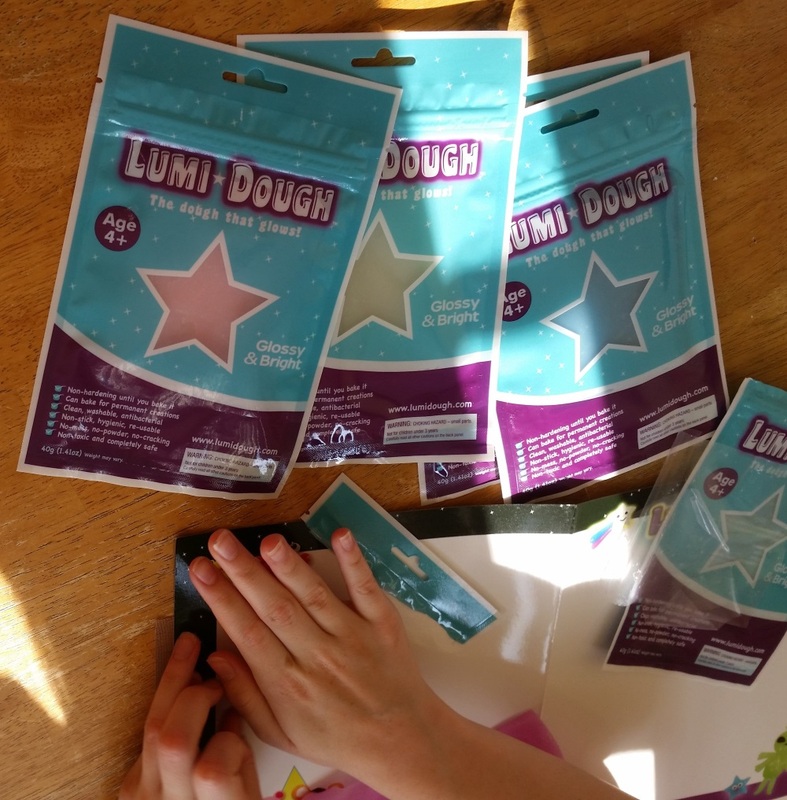 While my young testers, ages 10 and 4, have enjoyed playing with the Lumi Dough, they found it very hard to manipulate at first. 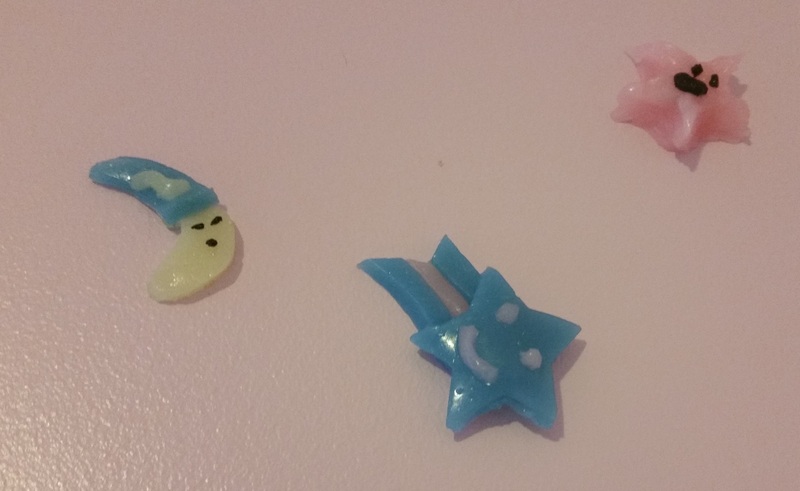 My older tester started using a butter knife for molding her creations, which included a nice Enderman with glowing green eyes and a shooting star. The dough definitely glows in the dark and stays relatively soft even after it’s been left out in the open for hours at a time. If you choose not to bake your items, you can stick them to the wall, where they seem to stay indefinitely without noticeable harm to the paint. Lumi Dough certainly doesn’t mold as easily as clay or play dough. It comes in flat, rectangular shapes, and it’s extremely difficult to make anything out of the dough that’s not flat. Lumi Dough doesn’t easily lend itself to making 3D creations, and I’m skeptical as to how anyone would make the figurines pictured on the box using actual Lumi Dough. It does, however, live up to its no-mess claim. Regular play dough generally leaves a gargantuan mess of crumbled dough that sticks to everything and defies attempts by my broom and mop to clean it up. So far, I’ve seen very few small pieces of Lumi Dough, and cleanup has been negligible. For this Lumi Dough review, I purchased a kit at BJ’s for $14.99. Ordering from LumiDough.com will set you back a total of $27.98 ($19.99 plus $7.99 shipping) for one set or $35.97 for two sets (the cost of one set plus a second $7.99 shipping charge). Since there is no way a second Lumi Dough in a box would cost another $7.99 to ship, you’re obviously paying close to that amount for your “free” second Lumi Dough. You can also buy Lumi Dough from Amazon.com for about $20 per kit. If you need something to occupy the kids on rainy days and they’d go ga-ga for glow-in-the-dark fun, you may not consider $35.97 a significant spurge. Even a single set should give two youngsters quite a bit of entertainment. One large caveat is that you can’t buy refills. I contacted the company via their Web site, and they responded within 24 hours to my question about the availability of additional Lumi Dough by itself, without the rest of the kit. Their rep said that they do not sell just the dough on its own. So, it’s non-toxic, but seek immediate medical attention for anyone who ingests it? If you stick to the age 4+ recommendation on the box, kids probably won’t have eating the dough on their minds. They’ll have a great time playing with it, though younger kids may have trouble making anything other than cut-out stars, since the Lumi Dough doesn’t have as pliable a consistency as regular play dough. World’s Best Chicken Marinade, Great for Grilling!